Zurakowski is the Cardinals' starting center fielder and batted leadoff in the championship game. 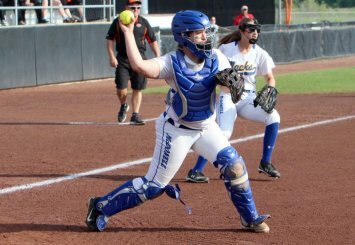 Those watching the team play this season may have noticed the senior wearing protection on the left side of her torso whenever she was at the plate. Zurakowski has a pectus excavatum — a condition in which a person's breastbone sinks into their chest. Zurakowski's diagnosis was discovered during prior to the team's Division 4 state championship in 2016, but she was able to delay surgery until after that season. She has had multiple surgeries with another on deck after the season, having pins and a metal bar surgically placed in her torso to help relieve breathing discomfort.